How to play against computers if you don't have live on multiplayer? How can I play team death match either solo or split screen against co.. When I want to play zombies offline I only have kino five and dead ops..
Go to multiplayer then select split screen and go to edit game options then turn enemies on. Can a PS3 play against a PC online? Yea thats how you do it but see I go multiplayer then splitscreen but then where? I don't see an edit map, I don't see the usual 'start game' 'change map' 'make a class' and that stuff so how do I get the edit map part? I just got the game because of Nuketown and I am disappointed. I was hoping to play through Multiplayer>Local>Split Screen and then choose enemy bots but I can't and I'm very upset! Ok well I'm trying to figure out the same thing, and when I go to multiplayer, local, split screen, and then it just brings me to like the start game, change map, change game mode, but there is no change game options, idk what to do! I've never had xbox live and it used to work but now it doesn't! help me!!!! IVe played against bots and I don't have xbox live but can't remember how to do it. OK first of all I have a good solution to this problem the reason why some of you can't edit some of the multiplayer maps is because you need to download the latest update on Xbox live. So in order to do this, can I take it to a friends house who has Xbox Live? Will it work on my Xbox if I don't have live? how can i download it without xbox live? We don't have Xbox live, but we have done it before, does anyone know how to play with a team but against enimies, like 3 playes for a team, but playing against enimy, because whenever we play, it's just us. No you dont. If you dont know what youre talking about, dont post! You must connect your console to the internet and have it download a new patch for Black Ops, only then can you play against bots, you do not have to pay for gold to get the update on 360. The patch should automatically pop-up on screen when you start the game while you are connected to the internet, download and follow the previous instructions. So you're saying I do not need to even sign up or Xbox Live and pay? I can just hook my xbox up to my Internet and have the update for Black Ops? Online & for the PS3 you don't have too be.. I have Xbox live but it won't let me play. I have also this problem, but I think you have to go once to the combat fight training (YOU NEED LIVE)! So to get the bots, just go to a friend WITH xbox live, put your CD in the xbox, play once the combat fight training and violà, you have the bots. you need to get an upadate don't need live basicly go on to initial option if you have the new 360 slim then complete update an then don't get happy done! SO when I go to local the then split screen the edit game will gust pop out? Go to splitscreen multiplayer. Then you must go to options and turn on however many enemies you want at whatever difficulty. It says settings, that's it, nothing about bots and I have Xbox live (silver). I have a black Xbox but it doesn't work..
Well you could download the update and that will give you the ability to play with and against bots. i cant get Online to do that but could u explain how? 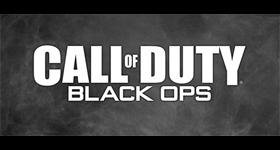 So what everbody is saying that you need Xbox live or an update for bots on Bo1... Then how would I download a update? I had the same problem. Just hook up your xbox 360 to the internet, do multiplayer and xbox live. Then sign in with the first account you have. I don't play for live. I think I used the free trial that came with the xbox, but I don't know if you need that. As soon as I logged in, it told me to update. After the update it worked. Its simple, update the game online, it's in an update. After it's updated you will be able to play offline no problem. You can just do it once like I did! Enjoy guys!! I think all everybody needs is just internet, then the update. UPDATE AND THEN IT WILL BE LIKE GOD TO YOU ALL. How do you play against the computer on black ops. Taste of Escalation DLC Trai..
How do you get unlimited ammo on Zom..
meaning of the kino easter egg song ..